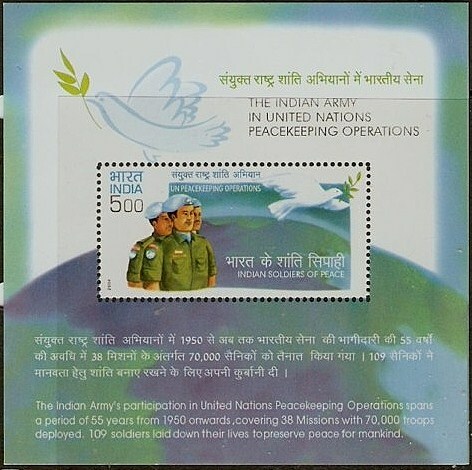 In 2004, India issued a souvenir sheet honoring its army's participation in UN Peacekeeping operations (Scott #2081a). 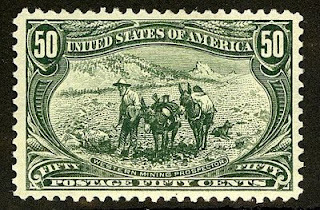 100,000 were issued, and Scott '11 prices the unused sheet at $12.00. Over the last decade or so, India has issued a number of souvenir sheets in quantities of 50,000 to 100,000. I intend to recommend some of them in future articles. While India's stamp market is heating up, the process has been more gradual than that of its neighbor, China. The Peacekeeping souvenir sheet has additional appeal as a U.N. topical. I continue to like the U.N. as a topic, long-term. The market for U.N.-related topicals should grow over the very long haul as institutions of world government develop in order to take on serious (and possibly existential) problems which can only be coped with globally. Despite the present inadequacy, corruption, and ineffectiveness of the U.N., I view its reform and gradual strengthening as a gradual but irresistible trend. 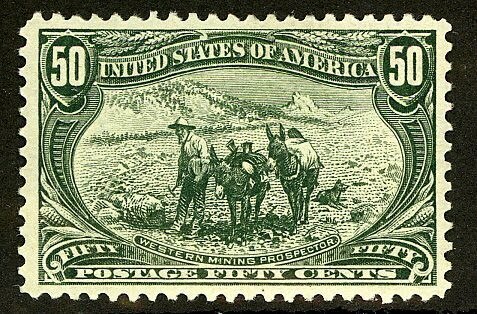 Check out StampSelector's Scarce Stamp Quanities Issued List, which now comprises over 9,700 worldwide listings of stamps with printings of 100,000 or fewer. I want to know the price quoted by u $12.00 is for the miniature sheet displayed above or for full sheet?